The best none finger protection goalkeeper glove in the REUSCH USA range. This glove offers more grip, durability, and cushioning for advanced goalkeepers in games. 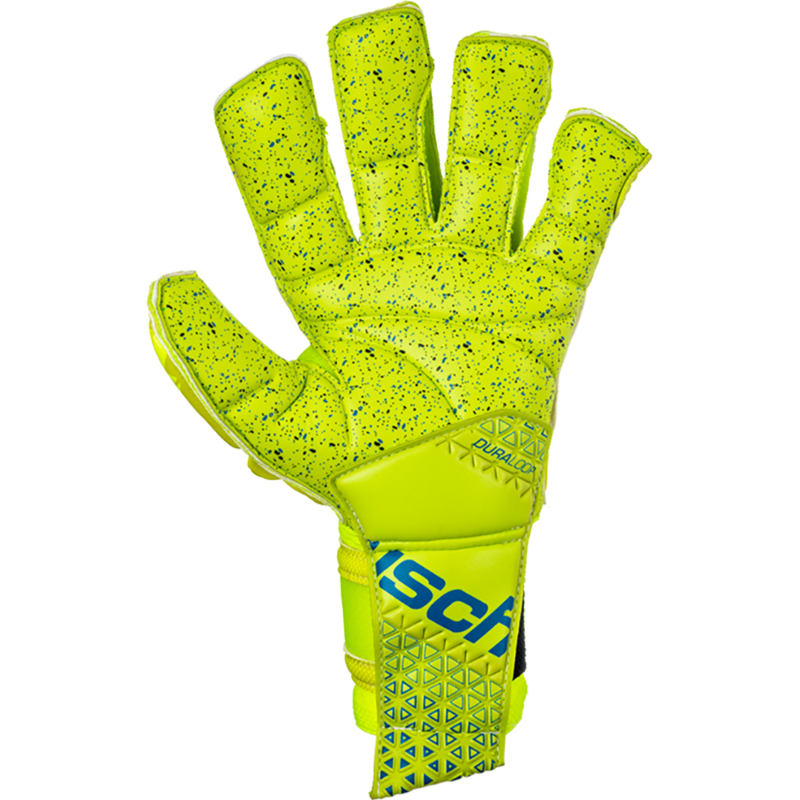 Replaces the Reusch Prisma Supreme G3 Fusion for the 2019 season. Gorgeous Lime/Yellow colorway option! Pro Latex foam all over. Embossed foam design makes the glove more flexible at many breakpoints. Reusch's revolutionary Pro Flex technology offers excellent flexibility that improves the glove fit and performance. 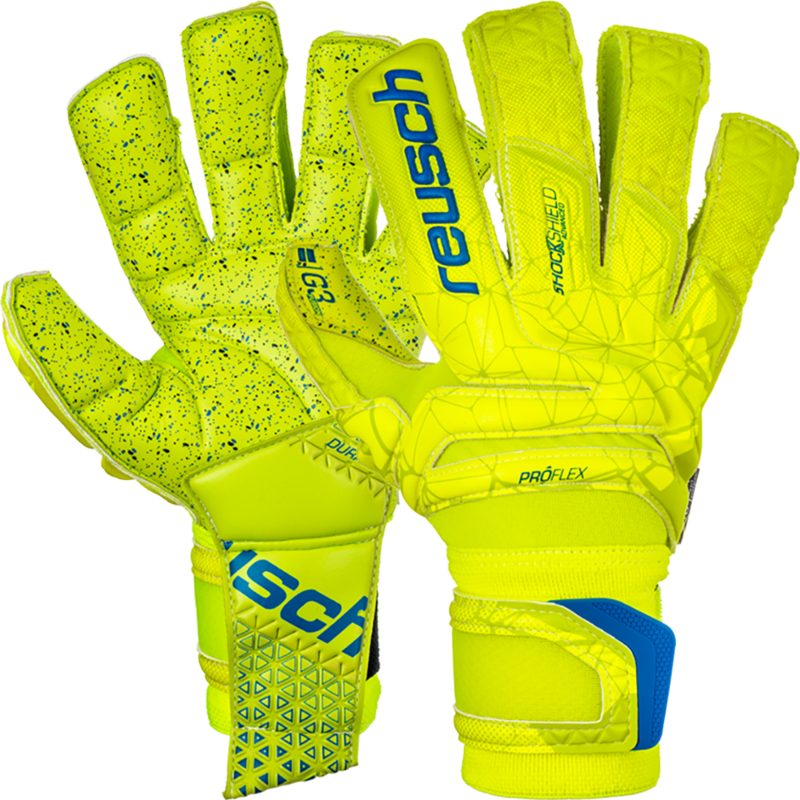 Reusch have combined specific stretch materials and applied their expert knowledge of soccer and glove technology to invent the best backhand flexibility and fit on the glove market. The Advanced Shockshield provides additional protection to the goalkeeper when punching the ball, or getting stepped on during play. The backhand material is crucial to provide a true fit and more flexibility with the finger protection. Reusch's AirVentSystem uses highly breathable Air Mesh material to make this glove more comfortable, which is great for soccer goalie's playing in hot or humid climates. Silicone print on the backhand of the fingers for extra design points. The cut of the Reusch Fit Control Supreme G3 Fusion Ortho Tec is a unique design combination of a Flat and Roll goalkeeper glove. Dual Rolled Expanse Cut ESS (Ergonomic Support System) uses the pattern that helps the fingers to be pre splayed enabling a better hand position on the ball. The latex of the fingers is rolled up on the side and stitched to create a tighter fit and more latex to ball contact. Expanded Finger Tips (EFT) maximizes the finger pad area to ensure the biggest possible latex to ball contact thus enabling more control of the save. 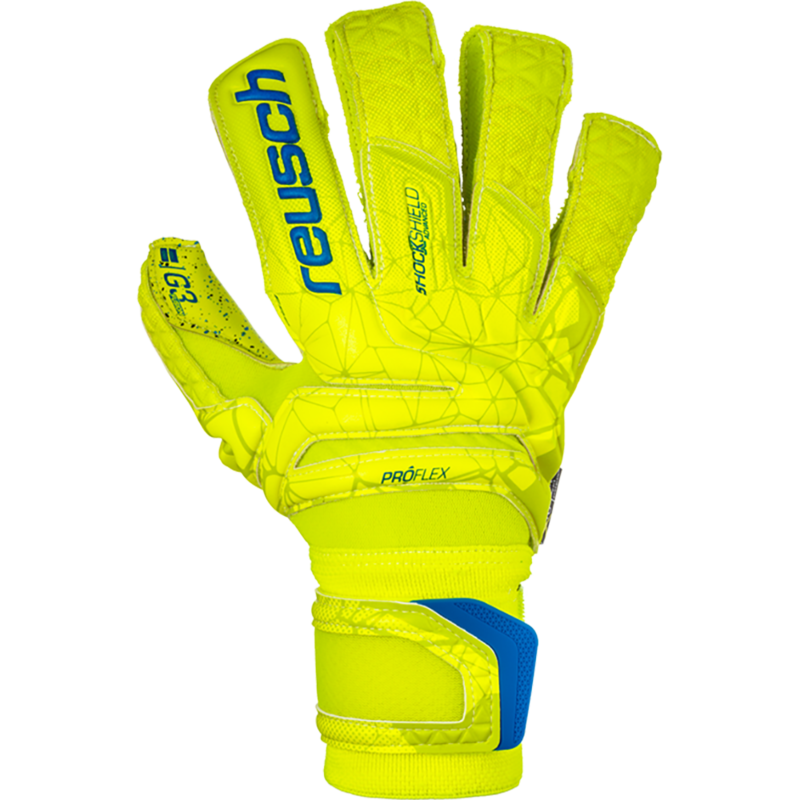 Reusch's cut is the Backhand Side Wrap pulls the backhand material around and closer to the side of the hand for more latex to deflect or secure a hard shot. One of the best fitting finger protection gloves at the game level. The wrist strap closure is half elastic for a custom fit. Wider wrist bandage provides the keeper a better fit, more support, and thus more control of the Reusch glove and shot. Wider wrist bandage for better fit and support. Strap is under the Duraloop which provides additional support and control during saves and distribution. The G3 fusion latex performs very well in all conditions when the palm is kept slightly damp to activate the gripping properties within the foam.